The naked bike gets a single piece handlebar and quality is expected to be top notch. The instrument cluster will be fully digital with white backlight and it might come with features like Bluetooth connectivity for turn by turn navigation along with all the usual functions and we can expect a shift light also. 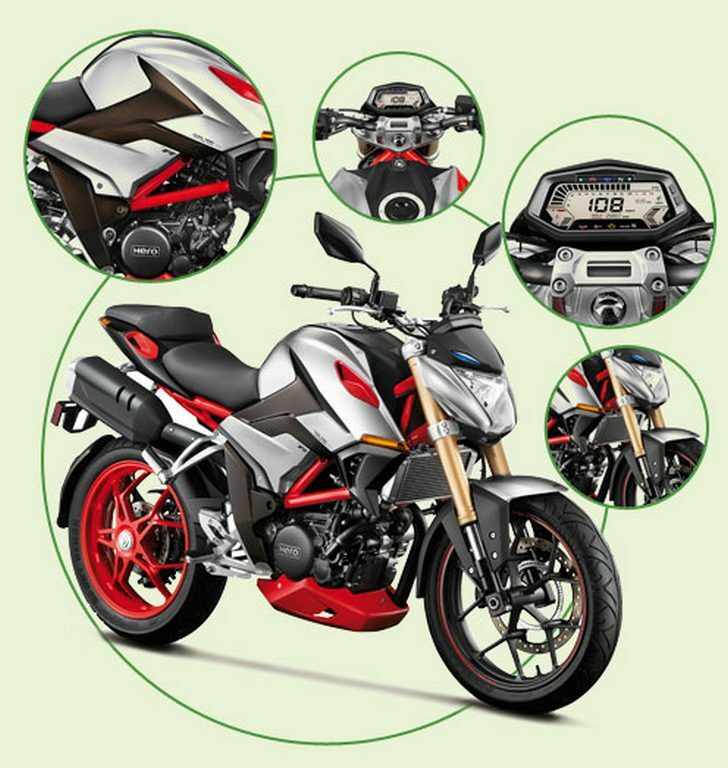 The fuel tank will be the most attractive part of the design like other naked models and it will give a sporty look for the performance bike. The XF3R get split seat design in which the rear seat will be placed slightly higher. The rear gets LED tail lamps and the company has given dual exhaust, which is placed on either side of pillion seat. 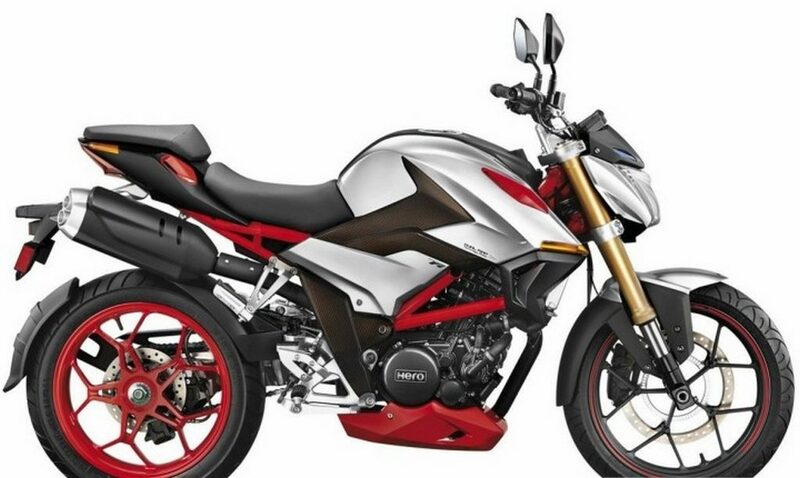 Hero has exposed basic frames like the Duke models to make it look sporty. The suspension duties are taken care off by upside down forks at the front and mono-shocks at the rear, which is tuned for performance. The XF3R get 17-inch wheels with black colour for the front wheel and red for the rear wheel.